We’re less than two weeks away from HEROES being revived — with the new event series, HEROES REBORN — and the gorgeous cast photos paint a bit of a moody picture. HEROES REBORN premieres Thursday, September 24th at 8 PM on NBC. HEROES REBORN Mystery: Who is Dylan Bruce Playing? HEROES REBORN is a continuation of the NBC 2006-2010 drama. And while the show will feature many of the original series’ stars, there was also a familiar line in the show’s Comic-Con trailer: Robbie Kay’s Tommy asked, “You ever get the feeling you were meant to do something extraordinary?” — echoing Milo Ventimiglia’s Peter asking the same question in the HEROES pilot. HEROES REBORN is closing out the NBC Television Critics Association day. Creator Tim Kring, as well as cast members Jack Coleman, Ryan Guzman, Robbie Kay, Zachary Levi, Judi Shekoni, and Kiki Sukezane will be here to talk with press. Cristine Rose has joined the ever-expanding list of original HEROES stars who will appear on HEROES REBORN, a rep for the show has confirmed. Rose — who played Angela Petrelli, mother of Peter (Milo Ventimiglia) and Nathan (Adrian Pasdar) — will appear on the upcoming event series for a guest arc. She joins former HEROES stars Jack Coleman (HRG), Masi Oka (Hiro), Sendhil Ramamurthy (Mohinder), Greg Grunberg (Parkman), and Jimmy Jean-Louis (the Haitian) in the upcoming revival. There will also be new cast members in HEROES REBORN, including CHUCK’s Zachary Levi and ORPHAN BLACK’s Dylan Bruce. The casting was first reported by E! Online. Are you excited to have Rose on HEROES REBORN? 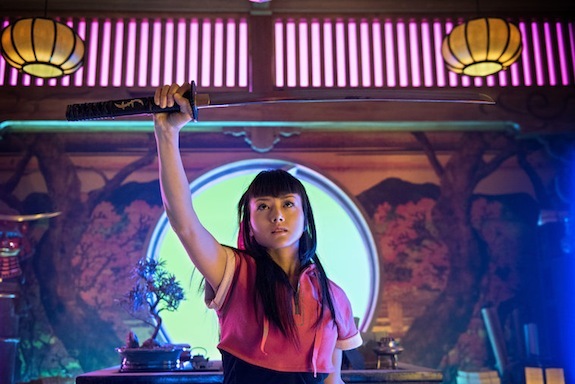 HEROES REBORN is kicking off NBC’s Thursday (drama-filled) night lineup. HEROES creator Tim Kring has been hard at work on various other projects since the NBC series came to an end, and his latest piece of work is USA Network’s new event series, DIG, which he co-created with HOMELAND’s Gideon Raff. 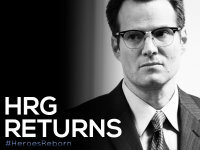 But since Kring has also been announced as being a part of NBC’s upcoming HEROES REBORN, during DIG’s Television Critics Association press tour panel, he was asked about the progress of the event series. Well, it seems 24: LIVE ANOTHER DAY has officially started a trend: NBC announced during the Olympics that HEROES will return next year as an event miniseries.